The first people to leave lasting traces of their mark on Bulgarian history were the Thracians, who settled in the Balkans in the 8th century BCE. But Bulgaria's ancient history goes back much further. The Copper Age culture that developed in the Varna region (4,400-4,100 BCE), left sophisticated examples of ritual burials, pottery, and the first use of gold on earth. 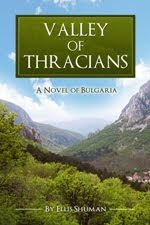 What happened to these ancient people, and why did such a long interval take place between their time and the arrival of the Thracians? In The Parchment Maze, written by bestselling Bulgarian author Ludmila Filipova and just recently translated into English, archaeologist Vera Kandilova is researching the connection between the origins of Christianity and Orphism, the religious beliefs of the ancient Greeks and Thracians, when she begins to encounter perplexing symbols tied to the prehistoric civilization that mysteriously disappeared from Bulgaria. Could these symbols be indications that proto-writing, the first attempts by mankind to convey information in a written form, actually developed in the Balkans? Vera's research, which takes her from Switzerland to Moscow and Rome, and then home to Bulgaria, almost comes across as an academic scavenger hunt, as in each location she picks up additional clues and evidence to support her theories. The mysterious Orpheus amulet, suggesting that the legendary Greek musician-prophet was crucified centuries before the arrival of Jesus, gives her an impetus to complete her research, but she is inexplicably kidnapped by a handsome man with pale skin. It's easy to compare The Parchment Maze with Dan Brown's The Da Vinci Code, for it weaves facts and fiction in such a way that one emerges with the assumption that all of the legends are true. The author includes photographs and footnotes giving further proof to the theories explored and also offers a detailed website with a virtual museum of traces in the maze. 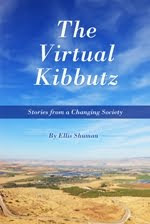 Not every reader will enjoy the writing style of this novel due to its extensive non-fiction nature. All readers, however, will be amazed at the book's originality and concepts, which bring to light unanswered questions as to the origins of mankind. Ever since I lived in Sofia for two years I have been searching for opportunities to read Bulgarian fiction translated into English. Now, at last, one of Ludmila Filipova's seven highly acclaimed novels has been translated, giving it exposure far beyond the Balkans where the story takes place. Interesting to watch is a National Geographic video which deals with the Orpheus amulet and which is based on Filipova's book. The video takes viewers to the Devil's Throat cave in southern Bulgaria, where The Parchment Maze begins, and where it mysteriously ends. 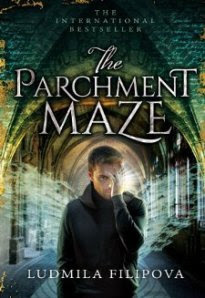 Buy The Parchment Maze and read it now!